Architecture is the art and science of designing buildings and structures. The art of shelter. Ultimately from Greek archon and tekton. Building first evolved out of the dynamics between needs (shelter, security, worship, etc.) and means (available building materials and attendant skills). As human cultures developed and knowledge began to be formalized through oral traditions and practices, building became a craft, and "architecture" is the name given to the most highly formalized and respected versions of that craft. It is widely assumed that architectural success was the product of a process of trial and error, with progressively less trial and more replication as the results of the process proved increasingly satisfactory. What is termed vernacular architecture continues to be produced in many parts of the world. Indeed, vernacular buildings make up most of the built world that people experience every day. Early human settlements were mostly rural. Due to a surplus in production the economy began to expand resulting in urbanization thus creating urban areas which grew and evolved very rapidly in some cases, such as that of Çatal Höyük in Anatolia and Mohenjo Daro of the Indus Valley Civilization in modern-day Pakistan. In many ancient civilizations, such as that of Egypt and Mesopotamia, architecture and urbanism reflected the constant engagement with the divine and the supernatural, and many ancient cultures resorted to monumentality in architecture to represent symbolically the political power of the ruler, the ruling elite, or the state itself. 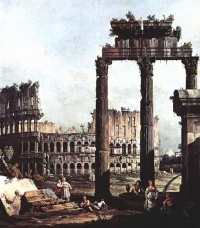 The architecture and urbanism of the Classical civilizations such as the Greek and the Roman evolved from civic ideals rather than religious or empirical ones and new building types emerged. Architectural "style" developed in the form of the Classical orders. Texts on architecture have been written since ancient time. These texts provided both general advice and specific formal prescriptions or canons. Some examples of canons are found in the writings of the 1st-century BCE Roman military engineer Vitruvius. Some of the most important early examples of canonic architecture are religious. Early Asian writings on architecture include the Kao Gong Ji of China from the 7th–5th centuries BCE; the Vaastu Shastra of ancient India and Manjusri Vasthu Vidya Sastra of Sri Lanka. The architecture of different parts of Asia developed along different lines from that of Europe; Buddhist, Hindu and Sikh architecture each having different characteristics. Buddhist architecture, in particular, showed great regional diversity. In many Asian countries a pantheistic religion led to architectural forms that were designed specifically to enhance the natural landscape. Islamic architecture began in the 7th century CE, incorporating a blend of architectural forms from the ancient Middle East and Byzantium, but also developing features to suit the religious and social needs of the society. Examples can be found throughout the Middle East, North Africa, Spain and the Indian Sub-continent. The widespread application of the pointed arch was to influence European architecture of the Medieval period. In Europe, in both the Classical and Medieval periods, buildings were not often attributed to specific individuals and the names of architects remain frequently unknown, despite the vast scale of the many religious buildings extant from this period. During the Medieval period guilds were formed by craftsmen to organize their trade and written contracts have survived, particularly in relation to ecclesiastical buildings. The role of architect was usually one with that of master mason, or Magister lathomorum as they are sometimes described in contemporary documents. With the emerging knowledge in scientific fields and the rise of new materials and technology, architecture and engineering began to separate, and the architect began to concentrate on aesthetics and the humanist aspects, often at the expense of technical aspects of building design. There was also the rise of the "gentleman architect" who usually dealt with wealthy clients and concentrated predominantly on visual qualities derived usually from historical prototypes, typified by the many country houses of Great Britain that were created in the Neo Gothic or Scottish Baronial styles. Formal architectural training in the 19th century, for example at Ecole des Beaux Arts in France, gave much emphasis to the production of beautiful drawings and little to context and feasibility. Effective architects generally received their training in the offices of other architects, graduating to the role from draughtsmen or clerks. Around the turn of the 20th century, a general dissatisfaction with the emphasis on revivalist architecture and elaborate decoration gave rise to many new lines of thought that served as precursors to Modern Architecture. Notable among these is the Deutscher Werkbund, formed in 1907 to produce better quality machine made objects. The rise of the profession of industrial design is usually placed here. Following this lead, the Bauhaus school, founded in Weimar, Germany in 1919, redefined the architectural bounds prior set throughout history, viewing the creation of a building as the ultimate synthesis—the apex—of art, craft, and technology. When Modern architecture was first practiced, it was an avant-garde movement with moral, philosophical, and aesthetic underpinnings. Immediately after World War I, pioneering modernist architects sought to develop a completely new style appropriate for a new post-war social and economic order, focused on meeting the needs of the middle and working classes. They rejected the architectural practice of the academic refinement of historical styles which served the rapidly declining aristocratic order. The approach of the Modernist architects was to reduce buildings to pure forms, removing historical references and ornament in favor of functionalist details. Buildings displayed their functional and structural elements, exposing steel beams and concrete surfaces instead of hiding them behind decorative forms. Architects such as Frank Lloyd Wright developed Organic architecture in which the form was defined by its environment and purpose, with an aim to promote harmony between human habitation and the natural world with prime examples being Robie House and Falling Water. 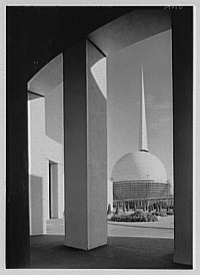 Architects such as Mies van der Rohe, Philip Johnson and Marcel Breuer worked to create beauty based on the inherent qualities of building materials and modern construction techniques, trading traditional historic forms for simplified geometric forms, celebrating the new means and methods made possible by the Industrial Revolution, including steel-frame construction, which gave birth to high-rise superstructures. By mid-century, Modernism had morphed into the International Style, an aesthetic epitomized in many ways by the Twin Towers of New York's World Trade Center. Many architects resisted Modernism, finding it devoid of the decorative richness of ornamented styles and as the founders of that movement lost influence in the late 1970s, Postmodernism developed as a reaction against its austerity. Postmodernism viewed Modernism as being too extreme and even harsh in regards to design. Instead, Postmodernists combined Modernism with older styles from before the 1900's to form a middle ground. Robert Venturi's contention that a "decorated shed" (an ordinary building which is functionally designed inside and embellished on the outside) was better than a "duck" (an ungainly building in which the whole form and its function are tied together) gives an idea of these approaches. Since the 1980s, as the complexity of buildings began to increase (in terms of structural systems, services, energy and technologies), the field of architecture became multi-disciplinary with specializations for each project type, technological expertise or project delivery methods. In addition, there has been an increased separation of the 'design' architect from the 'project' architect who ensures that the project meets the required standards and deals with matters of liability. The preparatory processes for the design of any large building have become increasingly complicated, and require preliminary studies of such matters as durability, sustainability, quality, money, and compliance with local laws. A large structure can no longer be the design of one person but must be the work of many. Modernism and Postmodernism, have been criticised by some members of the architectural profession, such as Christopher Alexander, who felt that successful architecture was not a personal philosophical or aesthetic pursuit by individualists; rather it had to consider everyday needs of people and use technology to create liveable environments, with the design process being informed by studies of behavioral, environmental, and social sciences. Environmental sustainability has become a mainstream issue, with profound affect on the architectural profession. Within the past several decades, architects have realized that buildings must take into account their effect upon the environment. Major examples of this can be found in greener roof designs, biodegradable materials,and more attention to a structure's energy usage. This major shift in architecture has also changed architecture schools to focus more on the environment. Sustainability in architecture was pioneered by Frank Lloyd Wright, in the 1960s by Buckminster Fuller and in the 1970s by architects such as Ian McHarg and Sim Van der Ryn in the US and Brenda and Robert Vale in the UK and New Zealand. There has been an acceleration in the number of buildings which seek to meet green building sustainable design principles. Sustainable practices that were at the core of vernacular architecture increasingly provide inspiration for environmentally and socially sustainable contemporary techniques. The U.S. Green Building Council's LEED (Leadership in Energy and Environmental Design) rating system has been instrumental in this An example of an architecturally innovative green building is the Dynamic Tower which will be powered by wind turbines and solar panels. Unless indicated otherwise, the text in this article is either based on Wikipedia article "Architecture" or another language Wikipedia page thereof used under the terms of the GNU Free Documentation License; or on original research by Jahsonic and friends. See Art and Popular Culture's copyright notice. This page was last modified 19:11, 21 January 2018.